A busy life can surely get in the way of any plans for healthy eating, but Daily Harvest thinks it may have the answer. 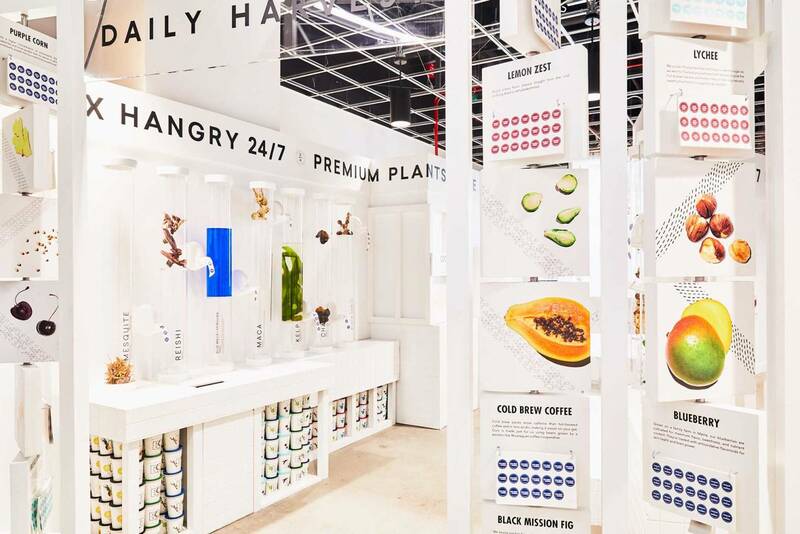 This New York City–based, direct-to-consumer, e-commerce brand specializes in delivering plant-based and simple-to-prepare meals and drinks. Rachel Drori, a busy mother, marketing executive and New Yorker established the business in 2015 for others like her, those who are challenged to find time for planning and preparing healthy meals. Customers of the subscription-based service can essentially “build a box,” choosing from among a variety of meals and beverages — smoothies, chia bowls, soups and more. The ingredients arrive frozen and pre-portioned in cups. Each recipe takes but a single step to prepare: blend, soak or heat, for instance. 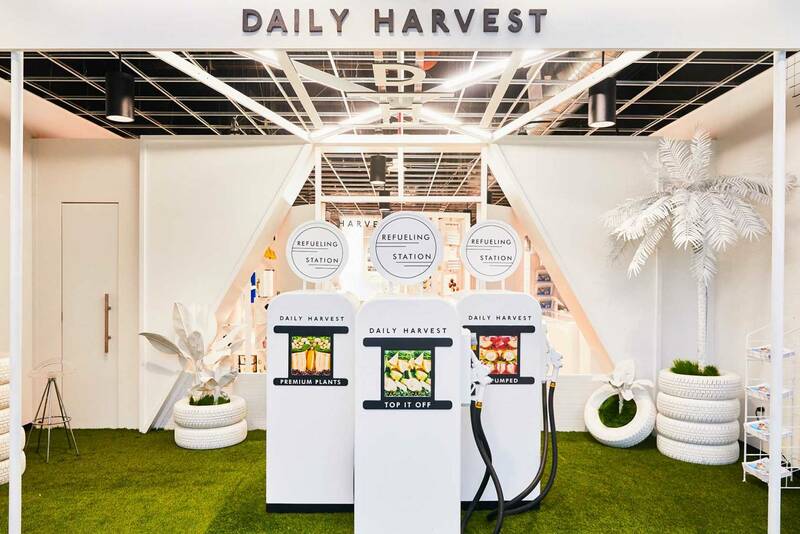 Last year Daily Harvest rolled out a pop-up concept in New York City called Refueling Station by Daily Harvest. And early this year the company opened its second pop-up: a 2,300-square-foot unit at Westfield Century City, in Los Angeles. 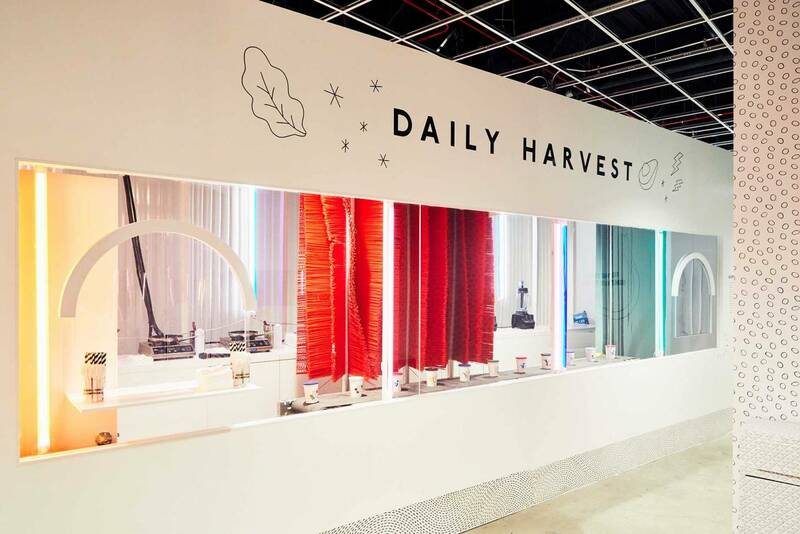 The “chic take on a retro gas station,” as the company describes it, is mainly a means for direct and physical interaction between Daily Harvest and its customers. Of course, the business regularly interacts with customers online, enabling collaboration to fine-tune the recipes and to come up with new product ideas. Visitors to these first two pop-up shops not only sampled and purchased products but also took part in such things as swag giveaways.